Decembers work party was cancelled due to the inclement weather. Novembers work party repaired some damage to the track under the bridge. Pilley Bridge Nature Reserve is an urban nature reserve in the heart of the southern part of Cheltenham. It was once part of the Great Western Railway on the Cheltenham to Banbury line but after the closure of this route in the 1960s it was taken over by Cheltenham Borough Council who designated it a kilometre-long, nature reserve. There is a wide variety of natural habitats represented in this small area which stretches from the back of the Travis Perkins on Mead Road, under Pilley Bridge on the Old Bath Road, almost to Sandy Lane. For wildlife it is a corridor, or if you are a bat a flyway, from close to Leckhampton Common into the heart of the southern part of the town. 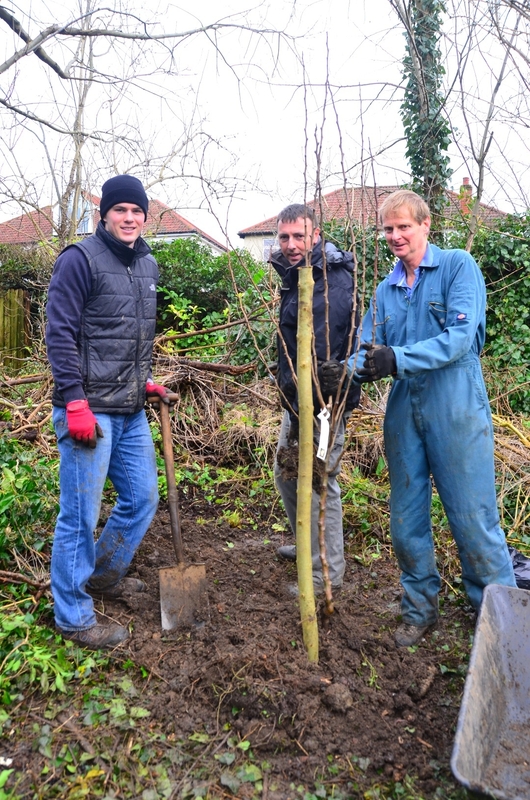 The Friends of Pilley Bridge Nature Reserve was formed in 2012, and is run by a group of enthusiasts and volunteers. Our aims are to protect and improve this environmentally important area as a reserve for wildlife and as a resource for the enjoyment of nature by the local community. With the aid of experts in their fields of study we are recording the flora and fauna within the reserve and providing data for use by local wildlife organisations. A management plan will be implemented to create greater diversity of wildlife. This work has already started with the thinning of the trees to bring back the butterflies and bees which have become fewer as the trees have shut out the sun. We hold regular events and activities, both for adults and children. There are guided walks, conservation work parties and lectures to take part in. 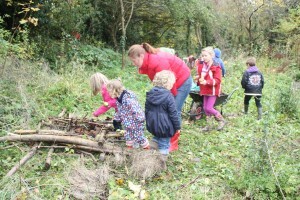 For children and parents we have “Nature Explorers” events during school holidays. Why not become a member of Friends of Pilley Bridge Nature Reserve NOW! see our Contacts page for details. 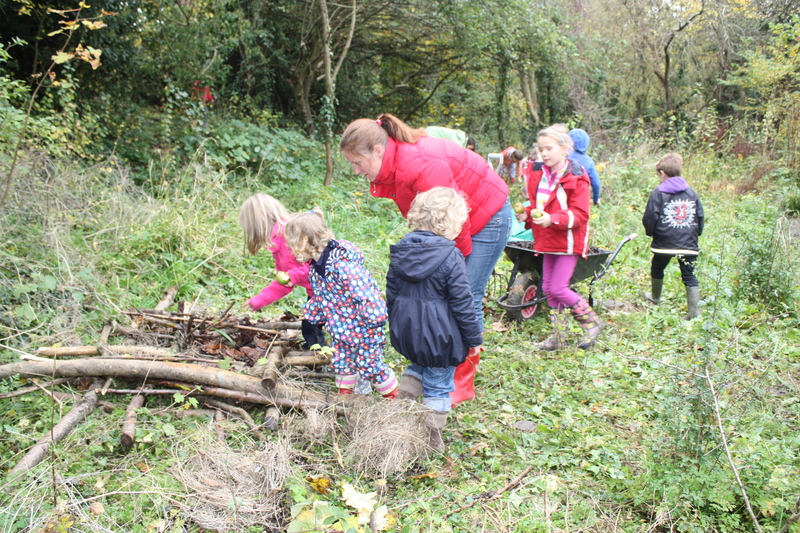 Nature Explorers building winter habitats for mini-beasts in the Reserve. 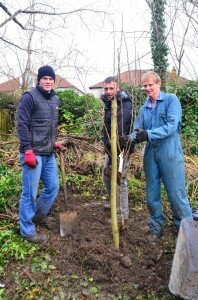 Planting the first of the Apple Trees in the Community Orchard.